At David Randolph Smith & Associates, we understand just how life-changing a sudden accident can be. Our Tennessee injury attorneys have decades of experience with complicated accident cases involving everything from motorcycles to tractor trailers. The Tennessee accident lawyers at David Randolph Smith & Associates stand ready to support your accident claim every step of the way. Different types of vehicle accident claims present unique challenges. 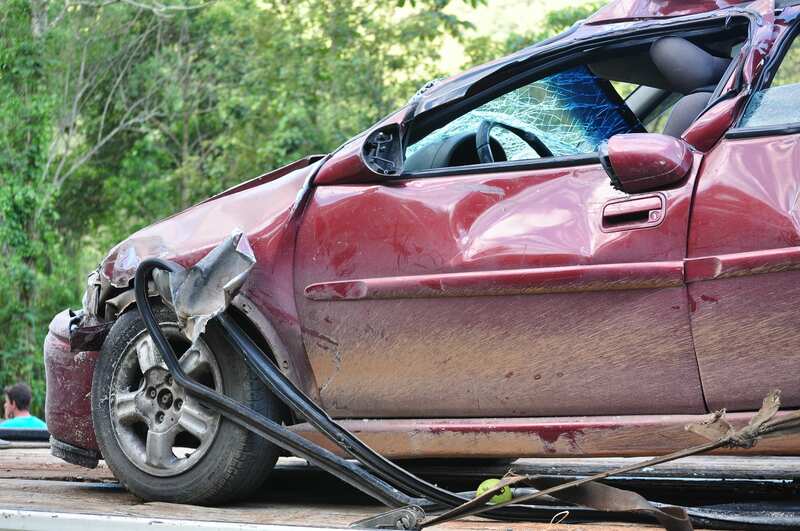 Anything from investigation methods to substantive law can differ from case to case, and the last thing you want to worry about after a serious accident are the statutes, rules, and procedures governing your accident claim. Our Nashville accident attorneys have seen it all and are prepared to use their experience to take care of your claim from start to finish. Automobile accidents consistently remain a leading cause of injury and death in the United States. The statistics are sobering: in the United States, roughly 10 automobile accidents occur every second (over 6 million accidents per year). Every day, 90 people die as a result of serious automobile accidents, while over 8,000 are seriously or permanently injured. Auto accidents are extremely common and often severe. When they occur, it pays to have the most experienced attorneys and advisors on your side to get you through the difficulties to follow. The Nashville auto accident lawyers at David Randolph Smith & Associates can help you navigate the complicated, frustrating details of your auto accident claim. Call our Tennessee accident attorneys today. Motorcycles present a unique set of accident risk factors. Because of their smaller size, automobile drivers often fail to notice motorcycles, especially in heavy traffic or adverse weather conditions. Additionally, motorcyclists often suffer worse injuries than automobile drivers in a car-motorcycle crash; vehicles offer far more driver protection than motorcycles, and are often much easier to control in an accident scenario. This combination of risk factors makes motorcycle accidents some of the most severe accident cases. If you or a loved one was recently involved in a motorcycle accident, contact the Tennessee motorcycle accident attorneys at David Randolph Smith & Associates and allow us to quickly evaluate your motorcycle accident claim, providing you with expert advice on how to navigate the next steps of your lawsuit. Weighing up to 80,000 pounds and often traveling at high rates of speed, large trucks pose a significant risk to the vehicles around them if not handled properly. When the size of these vehicles is combined with other risk factors, such as driver fatigue, oversized loads, and faulty vehicle maintenance, serious and fatal injury can result. As the number of semis and tractor trailers on the road increases, so do the accident statistics: Davidson County alone records an average of 1,500-2,000 truck-related crashes every year. Due to the sheer size of semis and tractor-trailers, accidents involving these vehicles are often especially severe. The Tennessee truck accident attorneys at David Randolph Smith and Associates are experts at handling the unique laws and regulations involved in truck accident cases. If you or a loved one has been involved in a truck-related accident, let us bring our expertise to your case and help you resolve your Tennessee semi truck accident lawsuit.